Reduce in-store friction in the customer journey : how can digital signage enhance the customer experience? Whether acting out of need or pleasure, the consumer has more and more choices for the customer journey: full digital, full store, ROPO, showrooming etc... However, the physical point of sale is far from being at the end of its life. Nevertheless, it must reinvent itself to meet the constraints imposed by new purchasing behaviors and enrich the customer experience in stores. Whether they are real or perceived, the points of friction and ruptures in the instore route are obstacles to the act of buying at the point of sale and contribute to the desertion of the offline buying channel. They can also be at the origin of the brand's abandonment even in its online channel (in particular for "showrooming" type purchasing routes). Retailers have understood this and all are redoubling their vigilance to ensure the sustainability of their business. Managers are looking to enrich this journey and restore emotional value to the store experience. 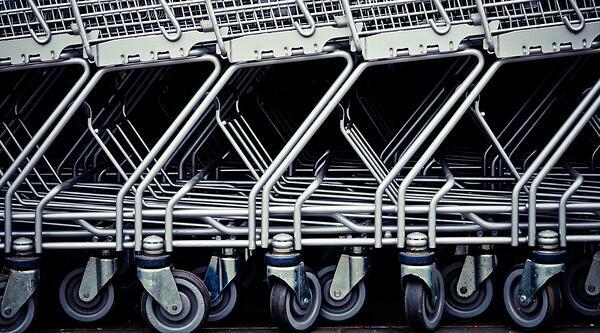 The key: a better brand perception score and a better profitability of the store. Waiting, lack of information, availability of advisers, heavy traffic at checkout... these breaking points are numerous and depend on the brand, the branding, its specificities (due to the nature of its sector, its size, its drawing area...). All contribute to reduced customer satisfaction and lower conversion rates. In order to reduce these points of friction and frustration, the buying process must be detailed, analyzed and rethought. How can new technologies, IoT and digital signage help retailers deal with these issues? Brand ambassadors and intermediaries between the brand and consumers, salespeople are truly the brand's first showcase. By rethinking their role and their tools, salespeople can make the buying experience much more qualitative, personalized and differentiating.. Giving them the role of advisor requires the acquisition of a better product and brand knowledge which requires a long training period. Connecting them reduces this learning time and ensures the transmission of qualitative information. In addition to providing better information, the salesperson, assisted by connected tools, is able to offer a more personalized experience: customer recognition, order follow-up, preparation for checkout, etc. Be careful, however, to choose the tool best suited to consumer use: tablets? screens? Is it faster to ask the seller, who will look for information on his tablet, than to let the consumer find it on his smartphone? Do I want to reach a wide audience or deliver specific or confidential information? In short, the digital display is a tool to assist the salesperson. It is also a sales support tool: product case studies, technical data sheets, implementation demonstrations, and much more is enhanced. The waiting times can be manifold depending on the retailer's profile. In the case of specialized or multi-specialized points of sale, the two most critical waiting times are waiting at the cash desk and waiting when seeking information (unavailability of staff). In the case of agencies or sales of services (catering, tertiary, etc.) there is a waiting period before the professional is taken in charge or in case of delay. These are all key moments during which there is a risk of loss of the client. The first step in a project to enhance the customer experience, even before the search for digital signage solutions, is to highlight the points of friction inherent in the physical points of sale concerned, in correlation with the uses of the targets. The appropriate digital solutions will appear once this analysis is performed. It will also be a question of clearly identifying the precise objectives of the media and defining its contents.